Robert Dean is a freelance writer, author, poet from New Orleans, LA. Born on the Southside of Chicago in 1981, he studied English and writing throughout his formative school career but never considered it something more than a hobby. After taking a compositional writing class his senior year of high school and meeting a teacher that changed his perspective on the art, he decided to take up writing as a career, for better or worse. Graduating with top honors from the Chicago center of broadcasting, he learned the journalism side of writing. While the other students were busy getting ready to look good on camera, he was too busy reading books. Dean has worked for NBC, ABC, The Michiana Entertainer, and has had freelance pieces published in online journals and has also has contributed to various independent zines that have came and gone throughout the years. Currently, he is a contributor for the world-renowned Offbeat music magazine and has gotten to write about and interview some of the most exciting musicians to come out of New Orleans. He also writes for the Quarter Rat, an insider magazine for the service industry of the French Quarter. 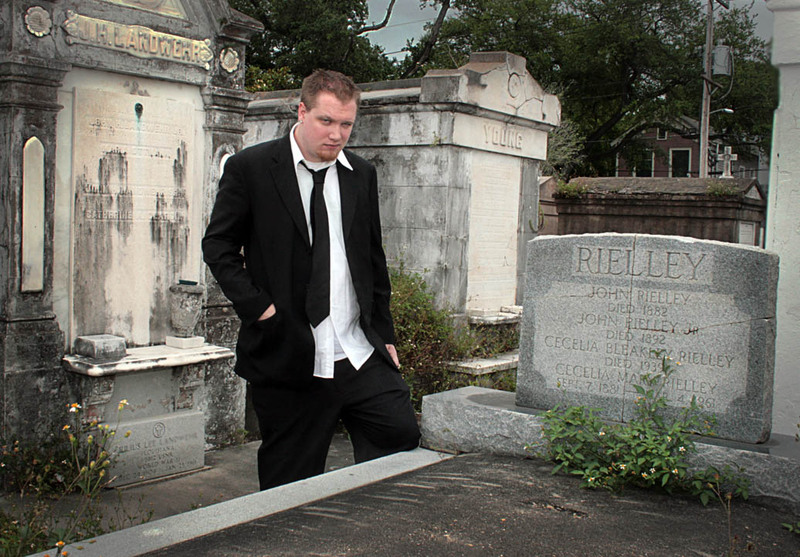 Leaving Chicago to pursue his writing career, Dean moved to Louisiana to seek out new ways to expand his mind and dive into a life where fiction meets reality. Since the move, he’s written a full length novel titled “In the arms of nightmares” that is currently being shopped for publication and is writing a second novel along with continuing work on his collection of short stories titled “The snakes in the garden.” His story “Blue Eyeliner” has been published in Open Heart Press’s “An Honest Lie”. Finally, follow Robert on Twitter!! band with the highest number of contacts and plays on myspace. release their self-produced record ” My own gravity” in the spring of 2011.
official webpage and on the facebook page of the band.